Fair food forager is an online directory that enables businesses around the world to promote themselves as providers of ethical and sustainable food. 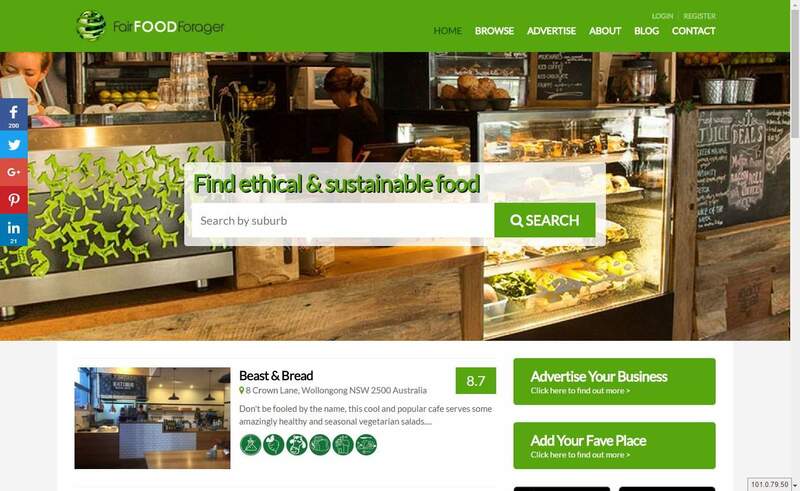 As a directory its’ primary purpose is to enable users to search for ethical and sustainable food near them. Since the idea was born in 2015 by founder Paul Hellier, native has been pleased to be apart this wonderful initiative. We have been involved with the development of the user interface, advanced search functionality, social media integration, online marketing and much, much more that enables success of this concept. In mid-2016 we were pleased to launch the Apple iOS and Android versions of the Fair Food Forager app. These apps utilise the latest mobile phone technologies to allow users to search near them wherever they are in the world to find food that meets their criteria.